Just finished with the 2nd developer course (K10) and the last topic was all about Alternative Forms. Alternative Forms in Kentico are different versions of existing form lay-outs. I first learned about it when I watched the tutorial videos of a former colleague. There were two instances where he applied the Alternative Forms. First, in the Form application and the next one was in the Module application. The first one was not a surprised but the second one was like my AHA moments (one of those) also. 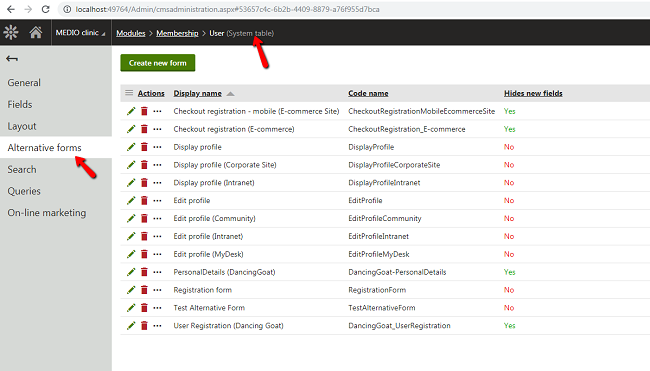 He went to the Membership classes and edited the CMS_User table and added custom fields and make the other inherited fields hidden. Take note, it is a System Table or Object. And today, I learned two other ways where you can create an Alternative Forms. It is in the Page Types and Custom Tables. Cool! And I've seen the code name Filter when I checked an example for the Page types (see below). 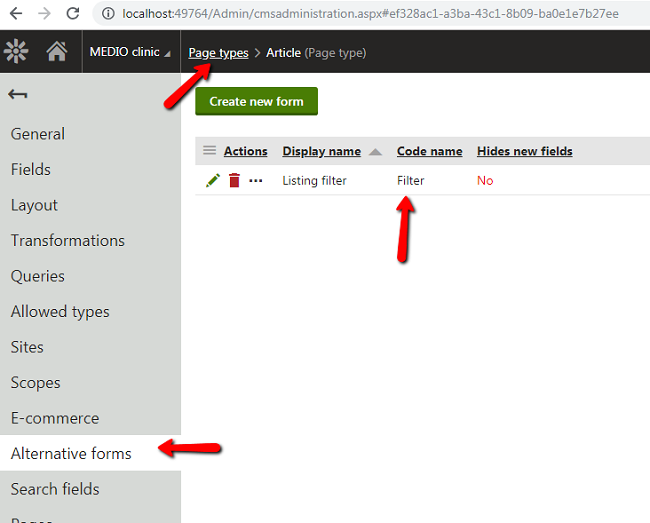 According to Kentico, if you used that reserved code, the system automatically uses the alternative form that you created. Other code names are Insert, Update and NewCulture. Learn more from here. I have yet to try it but for now I just finished the Form Exercise of Creating Alternative Forms. 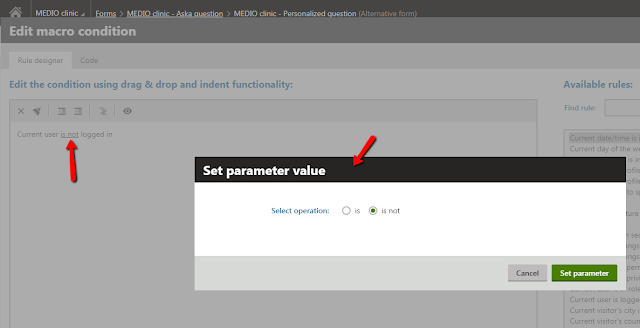 :) I also learned that there's an Enabled condition field in the Advanced settings where you can use a macro condition and set parameter value. Will continue with my review on the next training course! That's it for today! Short and sweet! Charot! Hehe. :) Happy Thurrrssssssssssday!